I’m watching live on Fox 2 Now, St. Louis Channel 2 News, showing the statements announced by St. Louis County Prosecutor, Mr. Eric Holder shares the final determination of the Grand Jury convened back in May 2014 quite some time before shooting of young Michael Brown. The Grand Jury, having been provided with multiple victims interviews and personal testimonies, also all physical and forensic crime scene evidence, and three separate autopsy reports; one from the St. Louis Medical Examiner’s Office, one from an independent resource requested by Michael Brown’s family and attorneys, one also provided by the Federal Bureau of Investigation’s Medical Examiner. The members of the Grand Jury, 7 Men, 5 women of those twelve there were 7 white and 5 African American citizens, however this is what was shared prior to the broadcast and shared by other news related media resources, so until the official release of all details related to this incident we cannot be certain of these demographics. ‘No formal criminals charges to be filed against Ferguson Police Officer Darren Wilson’…shares St. Louis County Prosecutor as he provides this detail, ensuring the public locally & around the world that his office, the duty upheld by our justice systems, including the Federal Bureau of Investigations, has an innate duty to ensure that true justice is achieved. This justice can only be completed after reviewing all presented facts, with a dominant view of physical & forensic evidence, on top of victims testimonies or accounts. I can appreciate the full measure of this statement, as it is most definitely a horrible experience when any life is taken, but that of a young man is truly sad. More concerning to me is how his life had been infected with a twisted societal impact of both social injustices and distorted perceptions built from the inner working of our family unit. 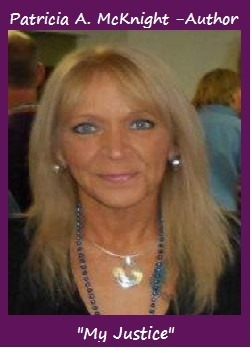 When we wish to find a way for a tragedy such as this to never happen again, it is our duty as a human society to continue implementing working resolutions to both empower a positive influence on all youth & young, as well as provide all families in need with the needed resources in healing or working through the traumas that can and do occur within our families. For centuries we have seen injustices committed from those of mankind trying to take control and dominance, through use of inflicted harm or serious believed fear of death. In most cases these actions are committed against those beings, who are believed to be the weaker of our society; against children & animals, those who cannot defend themselves or speak out in hopes of rescue or justice. Sadly, these instances have ranged in severity throughout our nation beginning with the landing of those ships when our country was first discovered back around the ending of 1400’s to early 1500’s. In fact it was after the first Thanksgiving when newly landing person’s began to fight with American Natives, which resulted in almost complete annihilation of our Native American Indians. We then had the issue of wars, ending most recently with war against terrorism. We have seen a continuous increasing focus on the recovery and support services for our returning war veterans and heroes being provided with a ‘fear based inflicted trauma’ as a result of what they may have endured personally or witnessed against others. America, if we can do this for our soldiers, if we can understand that for centuries the layers of injustices and extreme harm have developed an inner twisting of our family relationships and the levels of violence now overflowing into our schools, onto our streets in violent gang activities are a direct result of the ongoing harm we continue to ignore the greatest, and which also inflicts the greatest levels of depravation and harm; the ongoing criminal actions to inflict a deep sense of fear through physical or sexual harm, or imposed or actual threats of grievous bodily injury or possible death if these victims do not comply completely without objection to the attackers requests. The force used to dominate and trap victims can last for days, weeks, years, and even decades into adulthood if criminal acts without intervention continue to be inflicted against young developing children & youth. These same levels of imposed or actual acts of harm are used also to hold victims silent about these criminal actions of terror. This physical or believed captivity then prevents victims from finding any resource of help or rescue. The enforced silence, or fear felt by neighbors or other such persons, also prevents early intervention and traps victims in further isolation and believed sense of ‘I deserve these attacks’ or ‘I deserve to die’, which also increases the sense of victims shame, blame and even abandonment from society or other family. The very critical impact of ongoing trauma based on the ultimate impact of fear, is nothing less than the act of terrorism itself, as described in our world, national and state statues of terrorism. These ‘terroristic acts’ are also described in our trauma based recovery definitions, which outlines the guide for healing as a continuous life altering wounding requiring intense trauma skilled recovery in Behavioral Responses, Life Skills Development, and Emotional Development or support. I plea all citizens of our country to do exactly as suggested in the brief statements of Prosecutor Mr. Eric Holder, and continue doing the good productive work needed to educate, empower, and encourage our society to do the right thing. As a human society we need to heal, and in order to do this we must first address the inner perceptions of violence and the extreme levels of harm that exist and inflict extreme detrimental fear & dominance through vicious control and terror within our homes, our families, and sadly do the greatest damage to our children. I beg you to visit the Change.org website, review all the posts and information provided to justify & outline the amendment of the ‘Family Terrorist Act’ – Trecia’s Law, then please sign, share, and promote this petition to every person across the United States, requesting also that we see these types of extreme criminal actions as they are, personally violating of all human rights issues around the world. 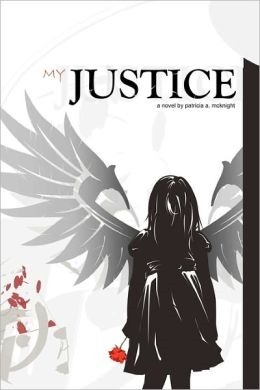 Author: ‘My Justice’ sold through most online resources, Paperback, Ebook, Kindle & Nook Versions – Authorhouse Publishing Co.